EU-funded FEMISE and “Beyond Reform and Development” announce their collaboration in the framework of a strategic partnership. Both institutions are committed actors that provide policy research, capacity development and advocate reform for inclusive and sustainable development models in the Mediterranean. Both actors are renowned for their ability to bridge global knowledge with the Mediterranean and Arab context. Grounded in decades of experience, this partnership aims to create a multidisciplinary and dynamic virtuous circle in the Mediterranean that is displaying an innovative and distinctive stance, allowing for impactful proposals to emerge. It will focus on themes ranging from sustainable finance and social entrepreneurship to private sector development and innovation. 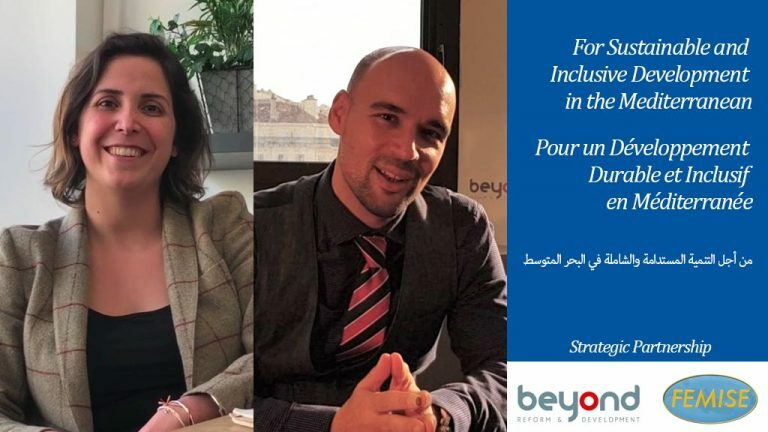 ‘‘Beyond Reform and Development’’ is a mission-driven consulting firm and a social business specializing in policy research, public management and capacity development, with headquarters in Beirut, serving clients across the Middle East, Gulf and North Africa region.